Freedom Rockz: Enter to Win Free Pizza for a Year! 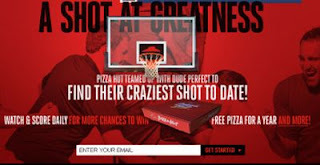 Enter to win free pizza for a year from Pizza Hut! Dude Perfect’s CRAZIEST shot! Cast your vote for a chance to win FREE pizza!